Concrete floor: 4” with fibermesh reinforcement and zip-strip crack-control. 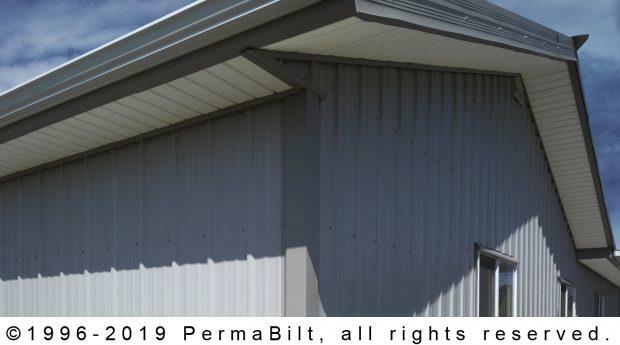 Having just moved from out of state and buying property in Sequim Washington, our new customers wanted to build a post frame steel garage to fit their cars and store their “stuff” having accumulated it over their many years. 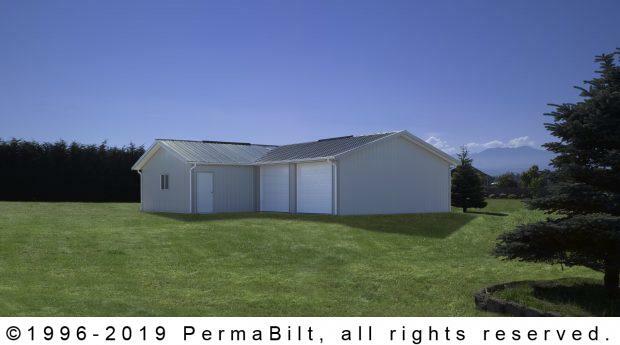 In working with their PermaBilt® Building Representative, they discussed their needs and what was ultimately decided to build an L-shape steel garage. Like many other customers, an L-shape sometimes makes more sense based on their landscape. 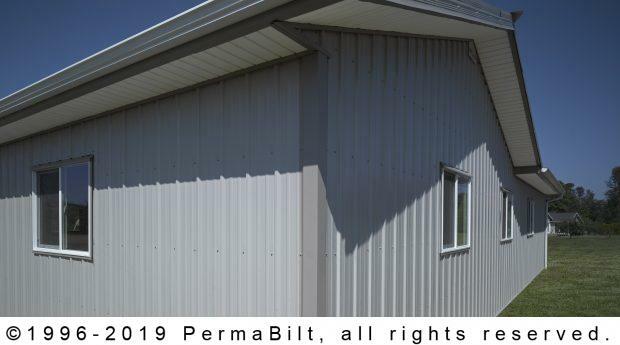 It’s always best to work with the environment when constructing a building. 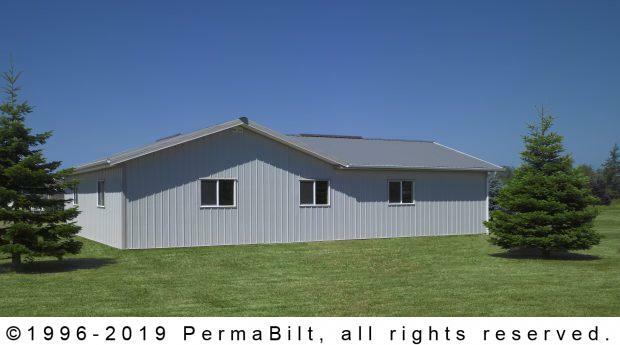 What they especially appreciated was the quality in each of the elements of the building. 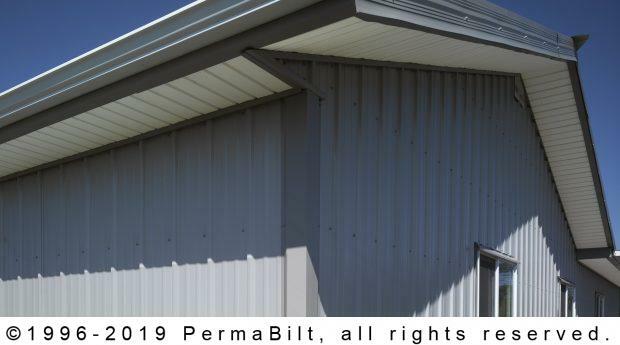 For example, the Town & Country® enclosed soffits on the overhangs cover the framing and are covered with vented vinyl – giving the building a beautiful, finished exterior without seeing the framing under the eaves. 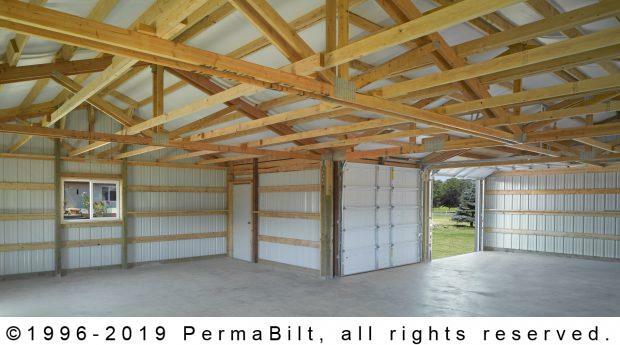 When the garage was completed, the couple could see the quality difference and were immediately pleased with the end result.